Splitalbum som innehåller tre nya m-cd:s av alla tre banden. 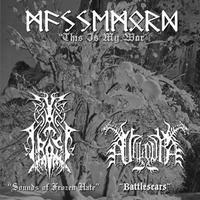 Massemords "This is my war", The Frosts "Sounds of the frozen hate" och Valdurs "Battlescars". Black Metal!